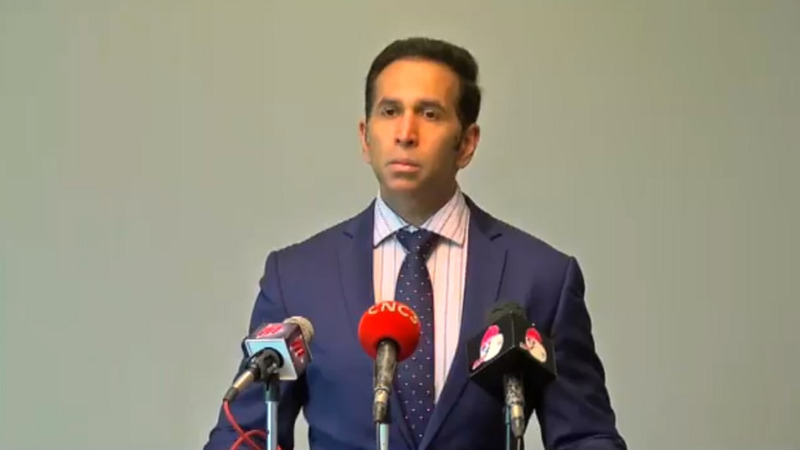 Attorney General and Minister of Legal Affairs, Faris Al-Rawi, met with retired High Court Judge from Northern Ireland, Sir Anthony Hart, at the Ministry of the Attorney General and Legal Affairs, AGLA Tower, Government Campus Plaza, Port of Spain, on Monday. 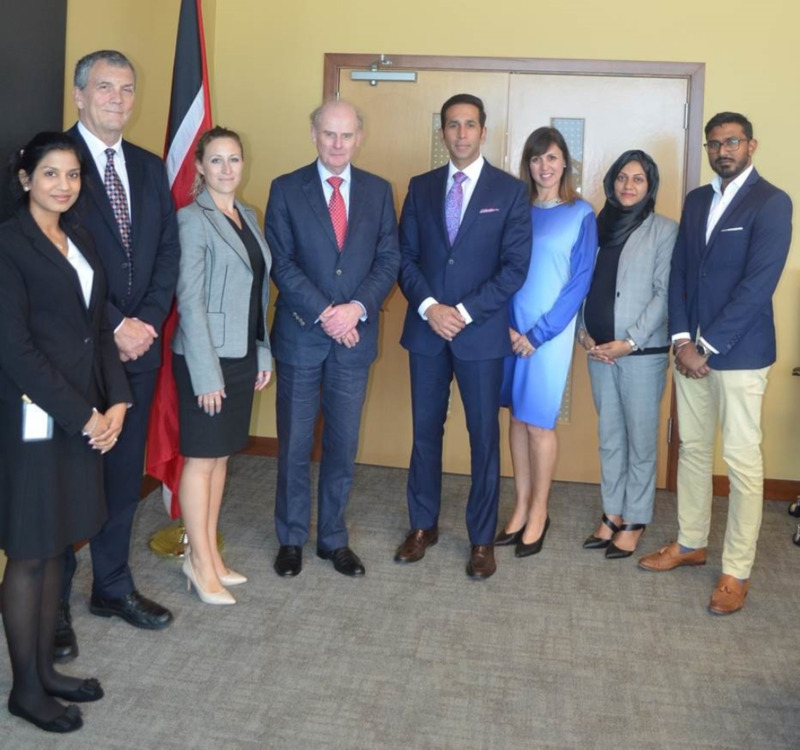 Sir Hart is in Trinidad and Tobago as part of a collaborative effort between the Judicial Education Institute and the British High Commission, to conduct a panel discussion and training for criminal High Court Judges at the Judiciary on January 22nd and 23rd, Miscellaneous Provisions (Trial by Judge Alone) Act, 2017, which was passed on July 7th 2017. 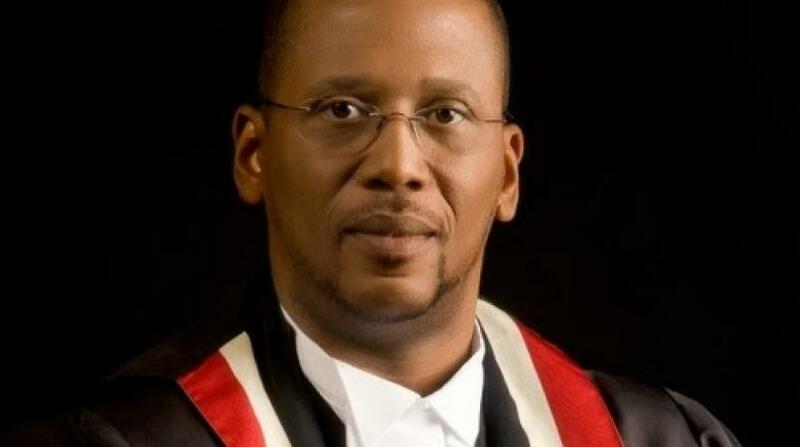 During his career, Sir Hart served as a High Court Judge for approximately eight years before retiring. While serving, he was responsible to the Lord Chief Justice for the organisation of the Crown Court work of the High Court Judges in Northern Ireland and chaired the Crown Court (later re-named the Criminal Court) Judicial Committee. As both junior and senior (leading) counsel he conducted the prosecution of many jury and non-jury criminal cases and as a County Court judge and High Court judge sat in the Crown Court for 26 years, during which time he conducted both jury and non-jury trials in all classes of serious criminal cases including murder. 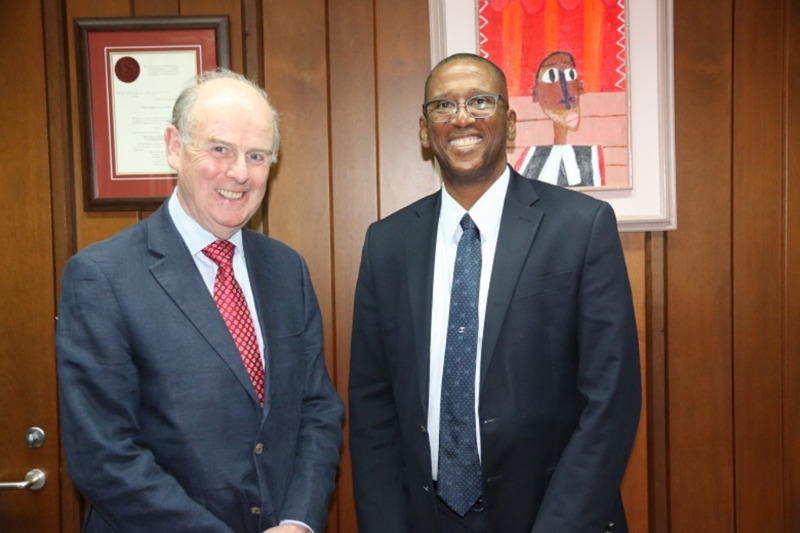 Sir Hart has also served as a lecturer at the Northern Ireland Inn of Court in Criminal Procedure and as a judge, served as a member of the Judicial Studies Board for Northern Ireland for a number of years. In addition to publishing various papers on Irish legal history and authoring “A history of the Bar and Inn of Court of Northern Ireland”, he was also the consulting editor of the first edition (1989) of Valentine: Criminal Procedure in Northern Ireland.